The rent at Tall Oaks Apartments ranges from $940 for a one bedroom to a $1,135 two bedroom. Apartments in this building are about 1% less expensive than the Parkville average. This is a pet-friendly apartment. This apartment is in Parkville. Nearby parks include Glendale Park, Mount Pleasant Park and North Harford Road Playfield. Tall Oaks Apartments has a Walk Score of 20 out of 100. This location is a Car-Dependent neighborhood so almost all errands require a car. 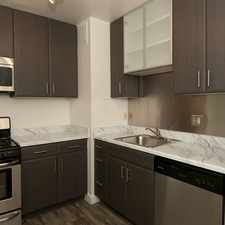 Pricing and availability subject to change\n\nFeaturing three oversized floor plans, Tall Oaks Apartments at The Gardens is located in the Parkville area of Baltimore. We offer one bedroom, one bedroom with den and two bedroom apartments for rent. Each of our apartments has a fully equipped kitchen, many of which have been renovated with the features that are important to you. Each apartment even has a free storage locker. At Tall Oaks Apartments at The Gardens, we have what you need to live comfortably. Looking for a home for sale in Parkville? Explore how far you can travel by car, bus, bike and foot from Tall Oaks Apartments. Tall Oaks Apartments has good transit which means many nearby public transportation options. View all Parkville apartments on a map. Search for homes in Parkville or find a Parkville real estate agent who knows walkable neighborhoods. Links will open on our partner site Redfin.com. 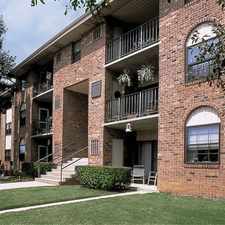 Tall Oaks Apartments is in the city of Parkville, MD. Parkville has an average Walk Score of 54 and has 30,734 residents.